It’s a Christmas tradition in the Czech Republic: the week before December 24, vendors with tubs of carp set up shop on the streets of Prague to sell the popular ingredient in most Czech Christmas dinners. It also might not be a tradition for the faint of heart: carpsmen fish out live specimens and bash them over the head before butchering the Christmas fish for paying customers. 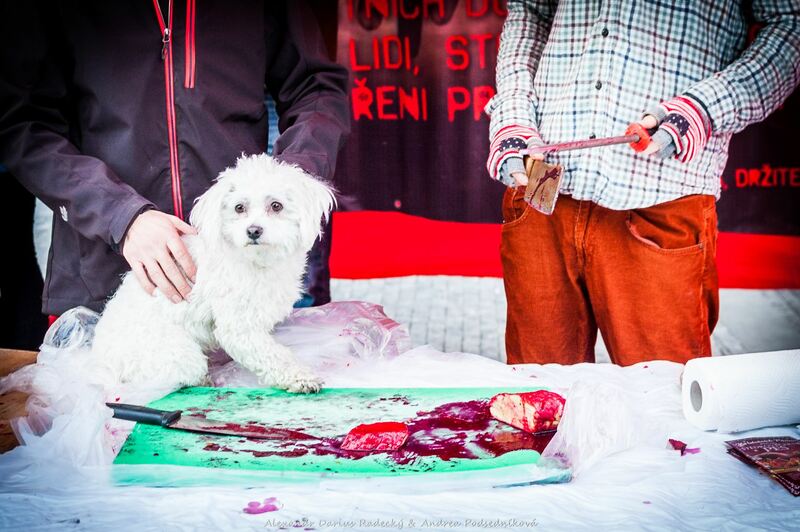 Animal rights groups have taken aim at the carp sale in recent years, and this weekend activists from 269Life took to the Christmas marketplace outside Prague’s Anděl metro station to stage a gruesome protest. Instead of carp, the group was dishing out “dog meat”, with live puppies on the butcher’s block and a menu offering various ‘Christmas Dog’ cuts. 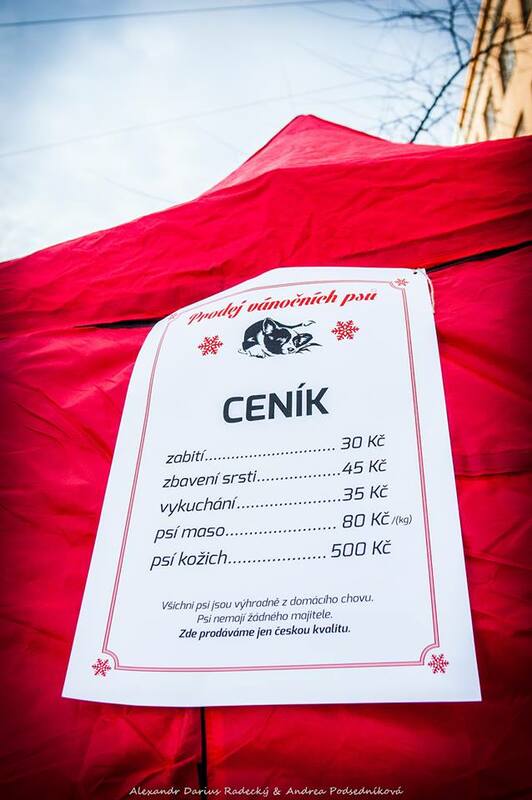 According to the price list, live dogs could be purchased at 80 crowns per kilo, and killed (30 CZK), skinned (45 CZK), and disembowelled (35 CZK) in a offering reminiscent of carp vendor’s. Of course, no animals were actually harmed during the event. More photos and information about the Christmas protest can be found on the Facebook page of 269Life.